Does Foster Care Pay for College? One of the things that keeps parents up at night is how they will pay for their child’s college education. This is something that foster parents should not have to worry about. 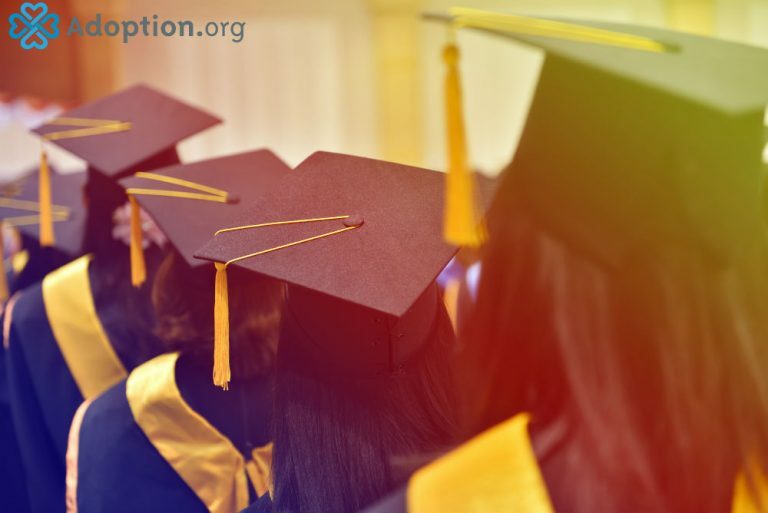 Did you know that even though the majority of foster youth consider attending college after high school, only a small percentage attend, and less than 3% of those in foster care actually graduate college? There are many barriers for foster youth in attending and graduating college. However, paying for college should not be one of them. Though foster care does not directly pay for college, there may be some programs in your state that assist foster youth in paying for college. Check your state’s child welfare website and your state’s higher education website for more details. For more information on Native American Scholarships, click here. Indirectly, a foster or adoptive parent can pay for college through the subsidies they receive though their state’s foster care subsidy program. This a is reimbursement, not income from the state. Eligibility requirements may vary. Of course, most of these funds ought to be used for daily room, board, transportation, etc. However, if the foster parent is in a good position financially, some of these funds may be placed in a savings account for future college use. Also, if a foster child decides to go to college, he or she may be able to voluntarily stay in foster care until 21 years of age. There are also tax benefits for foster and adoptive parents that can assist in funding secondary education. Another subsidy option is to research whether your state has an Independent Living Program. This is a program that serves youth ages 15 and up who are not returning to their natural parents and who will not be adopted. It assists youth in making the transition from foster care to living on their own as adults. These youth receive a small subsidy that can help them pay for college. There are many, many options for paying for college for foster youth. What the alternative? Well, statistics show that 26,000 teens “age out” of (or exit) the foster care system every year at age 18. Of those who age out, 1 in 5 will become homeless after age 18; 50% will be unemployed by age 24; many will have higher rates of incarceration; and 71% of young women will become pregnant by age 21, starting the cycle all over again. Don’t our foster youth deserve better? Don’t they deserve the same opportunity and hope and future that other youths experience? Research the possibilities in your state, and don’t let another youth fall to the wayside. All youth have potential. They just need a nudge in the right direction. Do your homework, and help a foster youth go to college. Derek Williams is an adoption social worker and has been in the field of child welfare and behavioral health since 2006, where he has assisted families in their adoption journey. He and his wife started their adoption journey in 1993 and have 8 children: 6 of which are adopted. His adoption children are all different ethnicities including East Indian, Jamaican, and Native American. He loves traveling with his family, especially to the East Coast and to the West Coast and is an avid NY Mets fan! Foster care and adoption is a passion and calling for Derek, and he is pleased to share his experiences with others who are like-minded. How Can I Get Help With Adoption Costs? How Many Times Can I Adopt? What Are Nonprofit and For-Profit Adoption Agencies? How Do I Choose What Is the Best Adoption Process for Us? Does the State Offer to Help Pay for Adopted Children? How Do I Receive Financial Help to Adopt a Child? How Can You Help Children Without Adopting? How Does Adopting a Child in Canada Work? How to Support Others Who Are Adopting?